Here is a more in depth look at our fantastic products. If you have any further questions please contact us. All of our frames are supplied with clear plastic safety glass. A - Triple 8x6 Frame - Frame only prints sold separately. 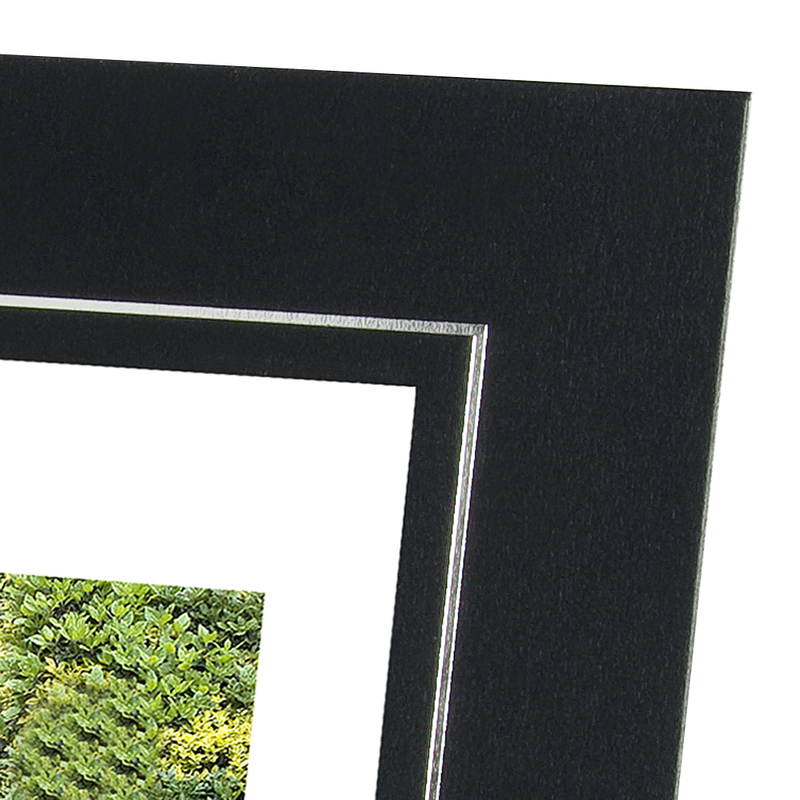 Choice of a silver pewter or black wooden frame with a double mount cream surround and black aperture. 23.75in (H) x 12in (W). Displays three different 8x6 inch photos. 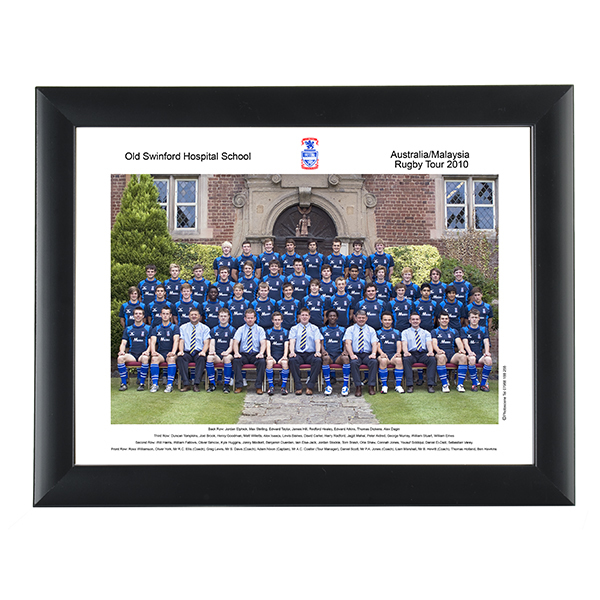 Select up to three 8x6in prints from any visit to your school and add to your basket along with this frame. You can order this frame with or without photos, ie if you already have photos that you would like to add and you can just replace the prints at anytime. If you would like the photos in a specifc order in the frame please contact us by email or phone. B - Double 8x6 Frame - Frame only prints sold separately. Choice of a silver pewter or black wooden frame with a double mount cream surround and black aperture. 17in (H) x 12in (W). Displays two different 8x6 inch photos. 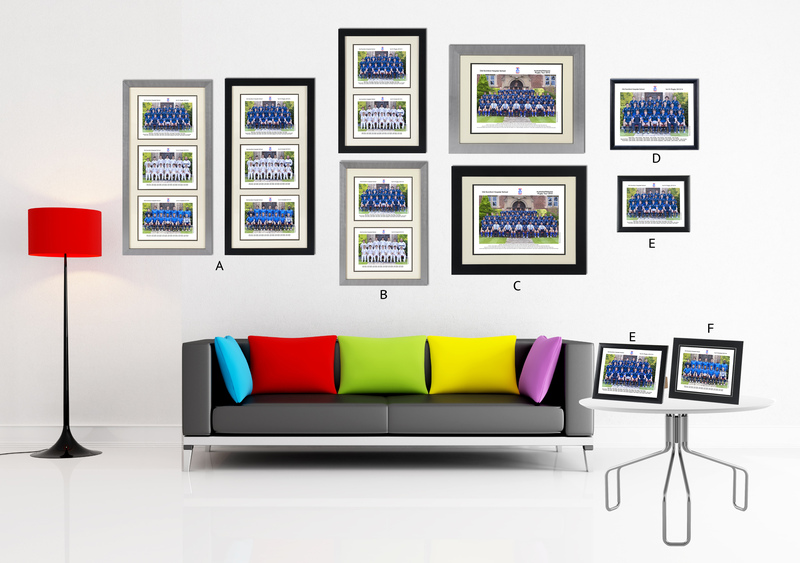 Select up to two 8x6in prints from any visit to your school and add to your basket along with this frame. Like the triple frame you can order this frame with or without photos, ie if you already have photos that you would like to add and you can just replace the prints at anytime. If you would like the photos in a specifc order in the frameplease contact us by email or phone. 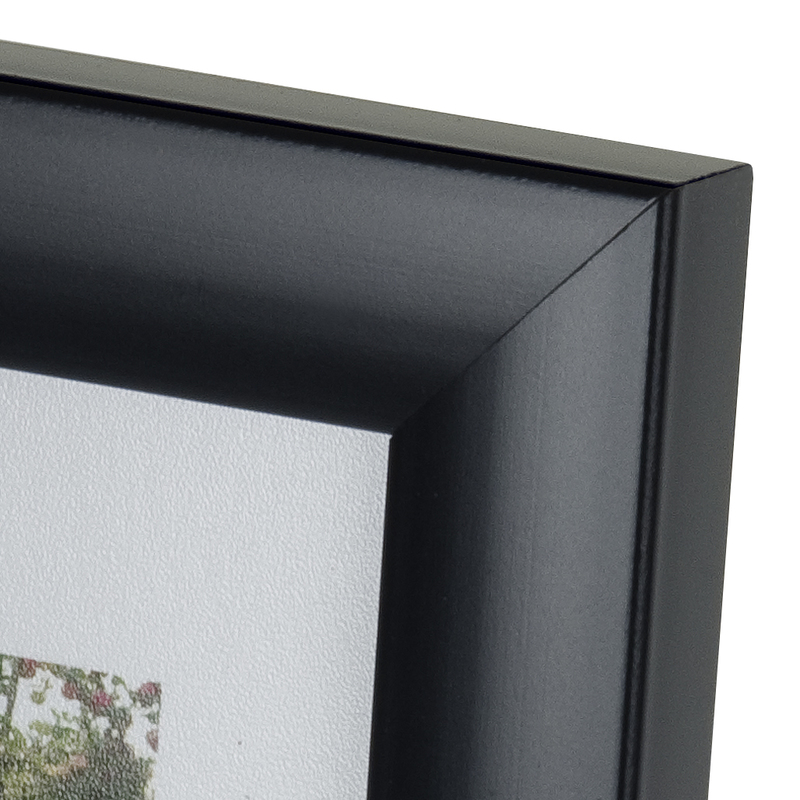 A smooth black frame complete with hanger and strut back alowing you to hang your photo or display it on a surface. Once you have ordered a framed 10x8 inch print you can order 10x8 prints and just replace the photo or have a display of frames. Unframed 10x8in print. 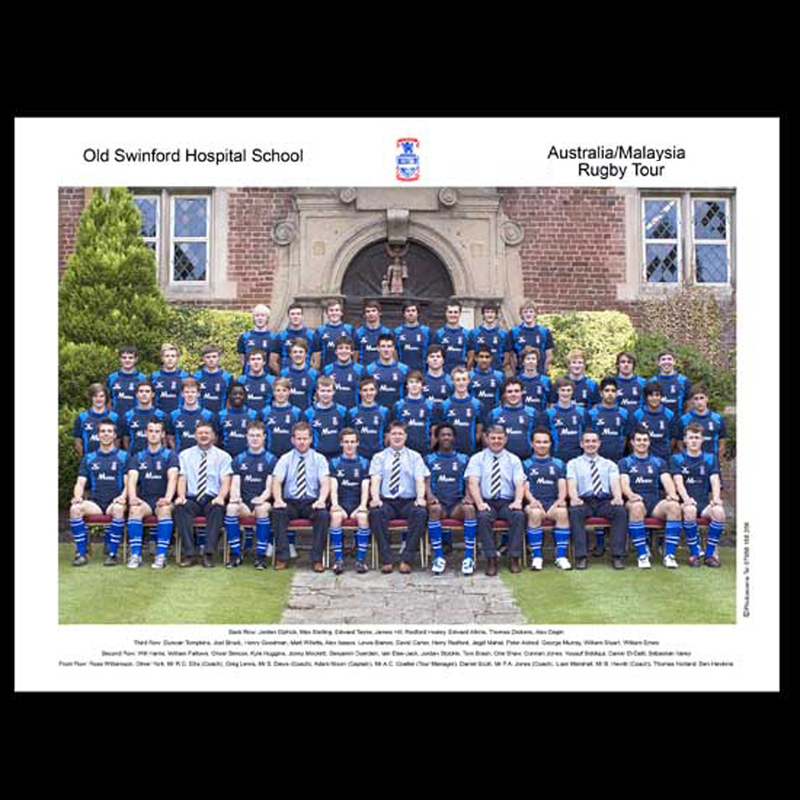 Print only- this is complete with all student names, school name and crest/logo. The print is ready to put into a frame or mount of your choice or we offer a framed version. 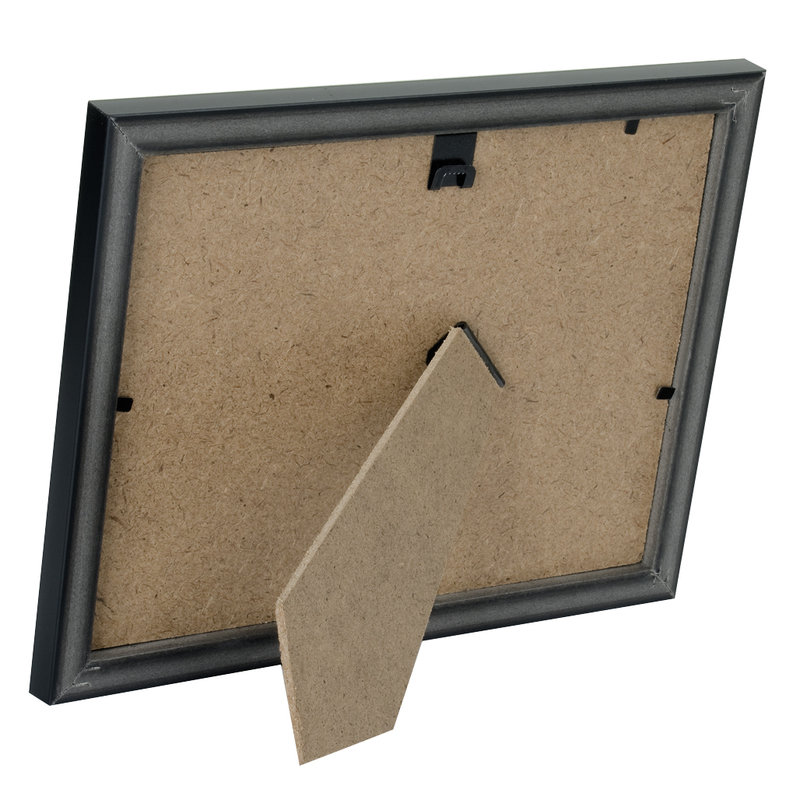 A smooth black frame complete with hanger and strut back alowing you to hang your photo or display it on a surface. This is the same as our 10x8 inch frame and ideal if you would like a smaller framed print or you would like to display your photo on a surface. Once you have ordered a framed 8x6 inch print you can order 8x6 prints and just replace the photo or have a display of frames. Unframed 8x6 inch print. 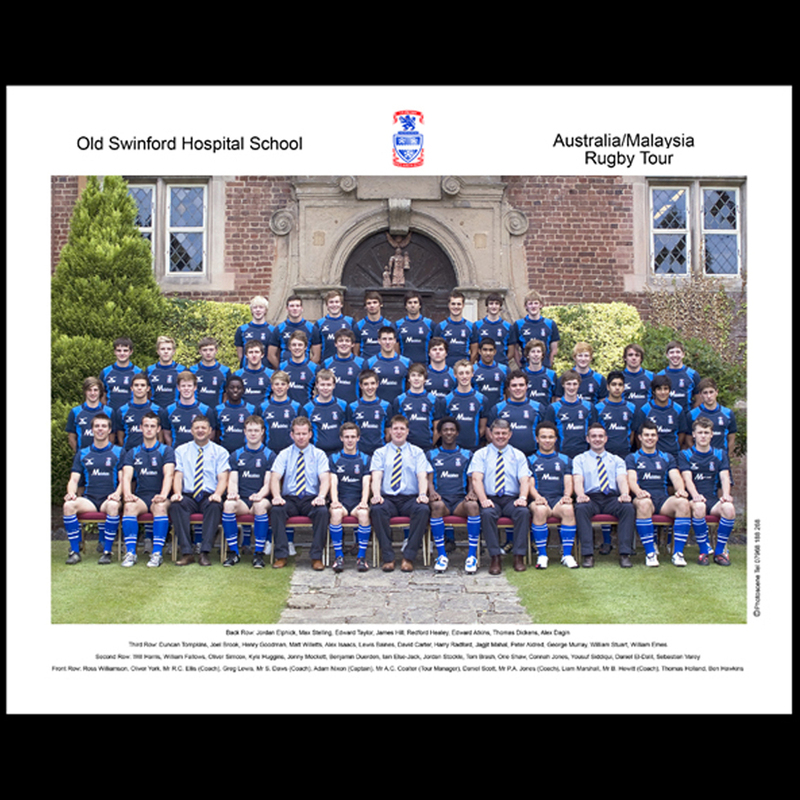 Print only- this is complete with all student names, school name and crest/logo. The print is ready to put into a frame or mount of your choice or we offer a framed version and a card mount which comes separately. 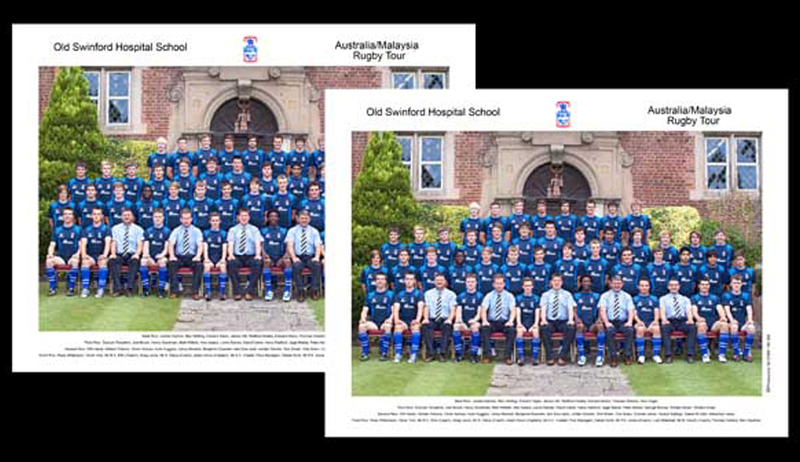 Prints only- this is complete with all student names, school name and crest/logo. The prints are ready to put into a frame or mount of your choice or we offer a framed version and a card mount which comes separately. 8x6 inch black card strut mount with silver line around aperture. 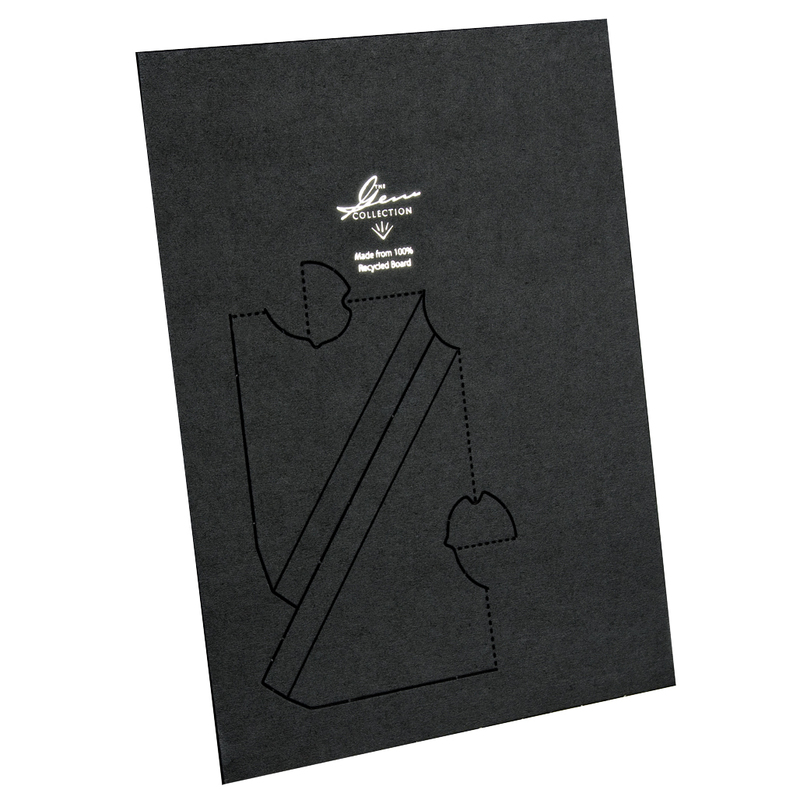 Ideal for displaying on surfaces.